I think I’ve found my favorite way to eat a surfeit of zucchini: as fries. This version bakes up crispy if you’ve cut your fries right, doesn’t have too much breading, and provides a really decadent-feeling side dish for something summery like a bunless burger. Delicious! A note on fry cutting: You want fries roughly the size of fast food fries here – think Wendy’s over KFC. Fry wedges are great, but they just won’t get crispy. An additional note on greasing the cookie sheet: Do not, under any circumstance, skip this step. You will have a mess on your hands and a whole lot of inedible mush. Preheat your oven to 400 degrees F and foil a cookie sheet. Brush the cookie sheet with coconut oil. Cut your zucchini into fry shapes – shoot for Wendy’s size. Add the almond flour and seasonings to a large ziploc bag. Add half your fries and shake like you’re frying chicken. Pick your fries out of the bag and arrange on the pan – don’t crowd. Bread the second half and add to the pan. Flip and bake an additional 15 – 20 minutes (browned on both sides). Let sit a few minutes to continue firming up. These fries won’t get as crisp as potato fries (the skinniest will), but they will firm up enough to approximate fries and they taste damn good. Love this idea! What a great side or snack! 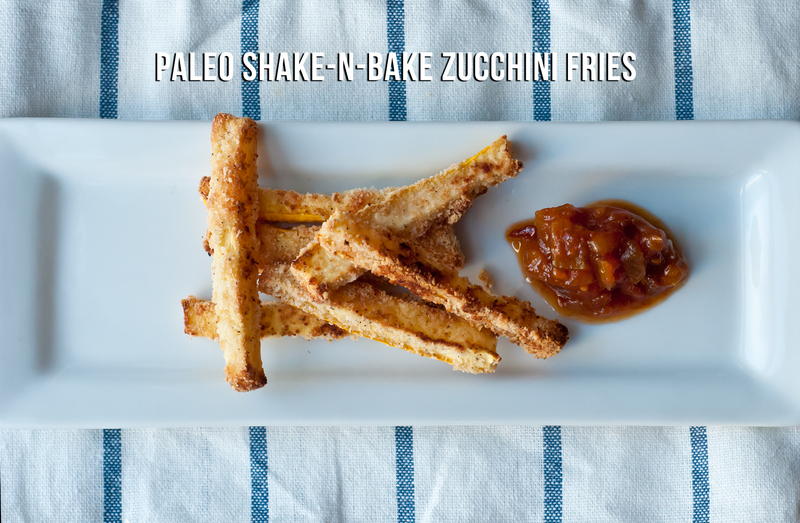 Those fries look fantastic – now I’m hoping for, rather than dreading, more eggplant in my CSA box!